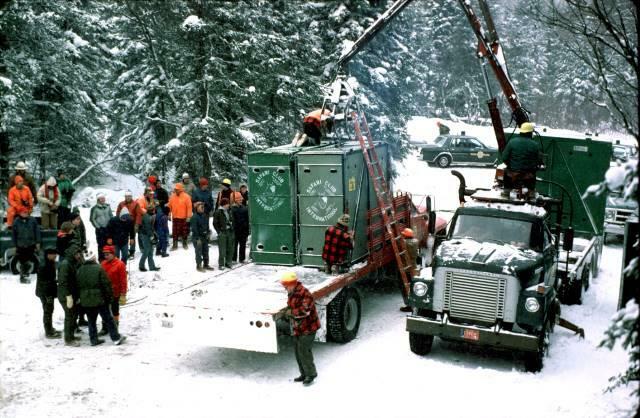 A moose is translocated to Michigan in the 1980s. 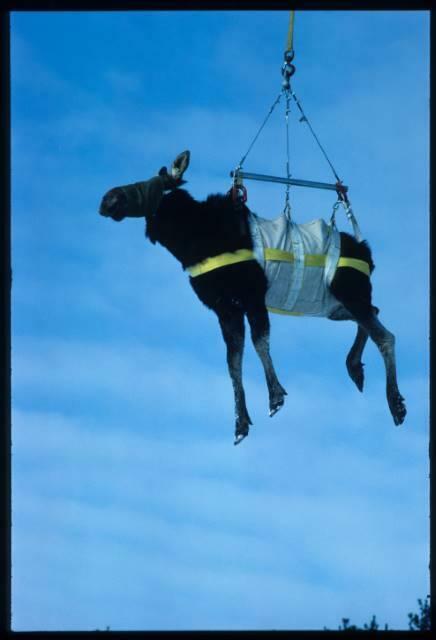 Lifted in a helicopter sling, moose flew through the air for around 15 minutes. They were transported this way to a processing area. There, they were put into crates and driven to Michigan's Upper Peninsula. 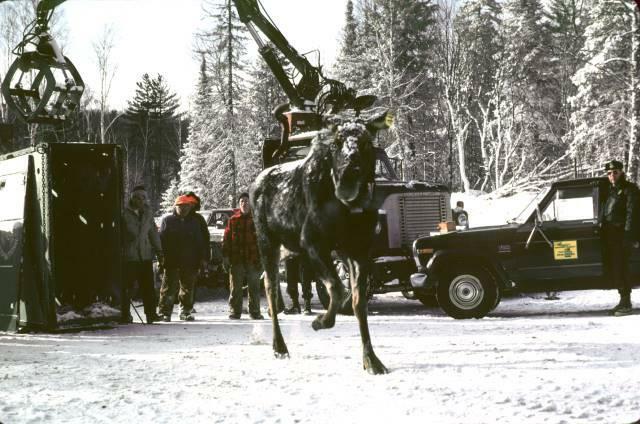 In response, 1935 brought the first attempt to bring moose back to the Upper Peninsula. But according to Steve Schmitt, a retired DNR wildlife veterinarian, that didn’t go so well. That didn’t stop wildlife specialists from trying. The second attempt came in the mid-1980s. “The idea there was that the habitat was changing, becoming more advantageous to moose,” Schmitt said. 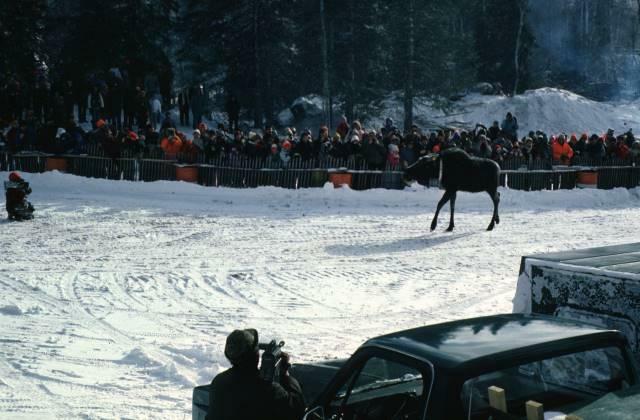 Algonquin Park in Ontario had an overabundance of moose at the time, Schmitt said, so the goal was to bring some of them over to Michigan. In return, Schmitt said Michigan gave Ontario some wild turkeys. Watch the translocation process below in the Archives of Michigan video. 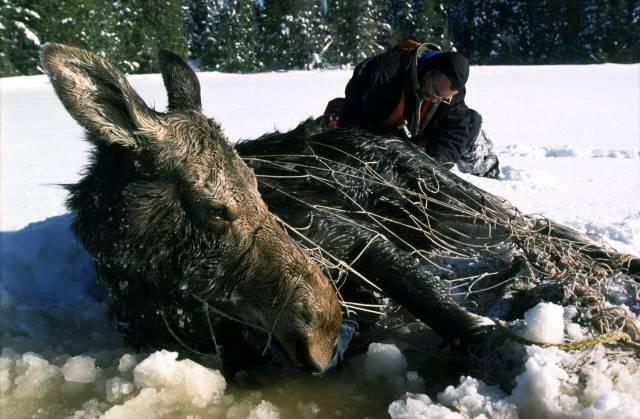 The process involves shooting the moose with a tranquilizer gun (Schmitt’s job), putting the animal in a sling, airlifting it to a processing area, crating the animal, and driving it in a truck to the release site in the U.P. For the full interview, listen above. You’ll hear about the stress this process put on the animals, how Michigan’s moose are doing today, and about the potential stressors the population currently faces. Michigan Radio originally aired this story on June 7, 2017.